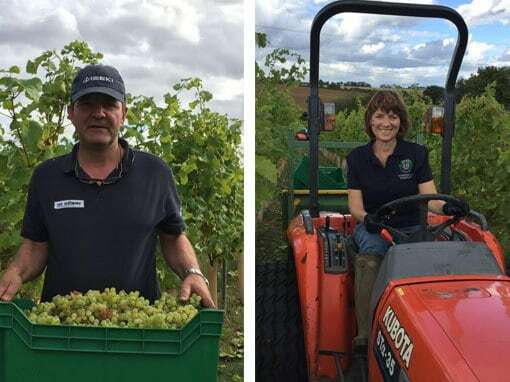 Toppesfield Vineyard is a small boutique vineyard run by Jane and Peter Moore. We have busy working lives Monday – Friday and look forward to our weekends in the vineyard where we combine our passion for English wine with our love of being outside (whatever the weather!) to produce fine English wines. Our story started in 2012 when we had the opportunity to buy some agricultural land next to the house. We already knew from previous research that the valley around Toppesfield was heavily planted with vines in Roman Times; this theory was supported by the discovery in the 1800s of the remains of a Roman centurion, his sword blade, metal wine vase and small cups in the field where we have planted the current vineyard. 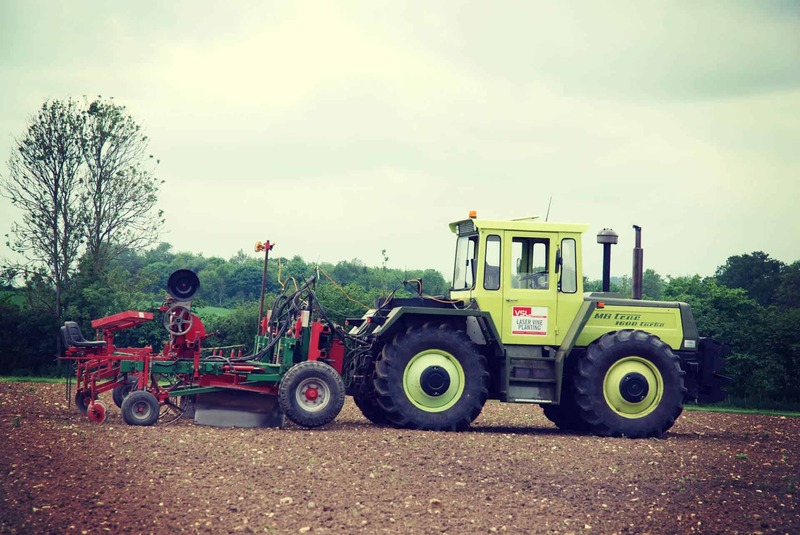 This history gave us the inspiration to create a 21st century vineyard in the rolling hills around Toppesfield. We started marking out the ground for the vineyard in the winter of 2012 following advice from McNeill Vineyard Management Ltd (MVM) on the best site and grape varieties for our particular location and soil type. The ground is a fertile chalk subsoil overlain by a clay loam. 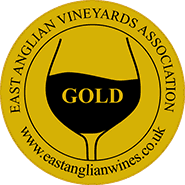 The easterly and westerly winds that blow through the vineyard provide good air circulation which, combined with high levels of sunshine in East Anglia, help create an ideal growing environment for vines. We chose Bacchus as our main white grape variety. It is a ‘cool climate’ grape which has proven to be very successful in East Anglia’s dry and sunny climate. It has hints of gooseberry and elderflower and really does evoke sensations of English hedgerows in early summer. We selected Pinot Noir Fruhburgunder, an early ripening red grape, which makes excellent rosé wine in our climate. After incorporating 30 tonnes of green compost into the soil we planted 3,400 Bacchus and 500 Pinot Noir Fruhburgunder vines in April 2012.